"Transcending History and the World, a Tale of Souls and Swords, Eternally Retold..." This phrase generates waves of nostalgia that course through my veins, from the humble beginnings of Soul Edge on the PS1, to the invasion of Star Wars against knights, samurai, and ninjas in Soul Calibur IV on our modern day consoles. And if you, my friend, have touched these games and heard the call, then you can share my unbridled emotion toward the best weapons fighter across the three systems. However, the fans realized the change in Soul Calibur IV... The lackluster opening, the introduction of characters able to clash beams of energy with steel weapons. Then came Soul Calibur V, where the problems stack like a pile of blocks laid by a one-year old. Where did the series take a wrong turn? How can it improve? By taking a microscopic glance at the latest game in the series, one can pinpoint the errors that alienated the fan base favoring the soul of series, and lay a groundwork for a future iteration that captures the spirit of the classics. Many fellow enthusiasts disagree on the importance of a good game introduction. Why invest in an elaborate opening when you can put that time and memory into better game mechanics? Unfortunately, who has ever went to a magic show just to see the magician step on stage and perform? What would a boxing match be without Michael Buffer or a clone of his hyping us up? What about American Idol without the witty announcer introducing the next singer onstage? A good game opening is the hype-man who gets gamers revved about the game. It acts as the gate that introduces the gamer to the imaginary world. Soul Calibur, where gamers assume the roles of 16th century swordsmen in a battle to win the ultimate weapon, always carried such style to introduce the game to its substance. In Soul Calibur IV, the opening instilled the thoughts, "This is the end," with a hellish barren earth around a burning cathedral, where a Seigfried cast in crystal readies himself to battle his dark, alter-ego from the past, as the game was supposed to be. Yet in Soul Calibur V, the lazy attitude the developers took to the overall game shows: the opening only features the final battle between Seigfried and Nightmare, and this is the same opening movie used for the Story Mode. It contains none of the spirit from the intros before IV, no samurai running for musketmen on boats, no Grecian divas fighting a monstrous golem, no style to accompany what substance the game has. The absence of the portal that connects to this fantastical world gives the game a poor taste to begin with, failing to hype the game, yet giving it a hint toward the apathetic attitude the developers took to the rest of the product. 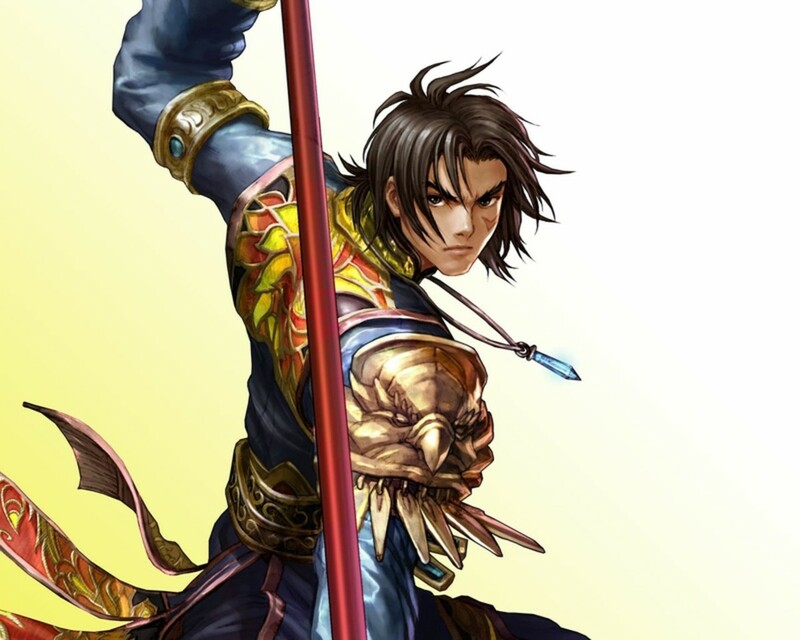 The Soul Calibur series was always known for its varied selection of characters, considering the plot of characters from around the world hunting for the ultimate sword. The series started with a diverse, complex selection and maintained it for a while. You had characters who fought for revenge, who wanted to save their homeland, who wanted to destroy the evil sword for the good of the world, who wanted it to perpetual their life... I could go on. But the developers stripped the diversity from the cast in Soul Calibur V. Talim, the good-girl from Southeast Asia with the tonfas, Zasalamel, the immortal who feared death with the scythe, Setsuka, the female swordwoman who quick-drew for revenge, as well as the entire Korean cast, were cut, eliminating a variety of fighting styles, personalities, and motivations. Now what was presented to the gamer instead? Two children of Sophitia who both use swords and shields and whose fighting styles pale in comparison to their mother and aunt, three Edgemaster clones, a guy with no range that must summon a wolf for some attacks, and a mystic who fights with a crystal ball and her fingernails. To worsen matters, most of the new characters, excluding Patroklos and Pyrrha, have no motivation toward the sword, and even fit into easily identifiable stereotypes: Kilik's apprentice the lax big eater, Xianghai's daughter the peppy girl, etc. The reason behind the lost of such complex characters remains unknown, and it hurts the overall allure that kept gamers immersed in the original game. Huh? Wadduyamean I got replaced with a guy obsessed with food?! And I'm blind now?! The gameplay is the final element of any video game that can make or break it. Soul Calibur V's gameplay was far from terrible, yet with several omissions or limits of good mechanics as well as the implementation of bad, it falls short of previous entries in the series. The penalty for blocking is a noticeable change in this game. In Soul Edge, the first title of the series, turtle players, gamers who find it amusing to block most of a match to keep their health for a time-up victory, were rewarded with a Weapon Meter. When too many blocked attacks depleted the meter to zero, the cowardly player lost their weapon, and had to endure the embarrassment of fighting barehanded. 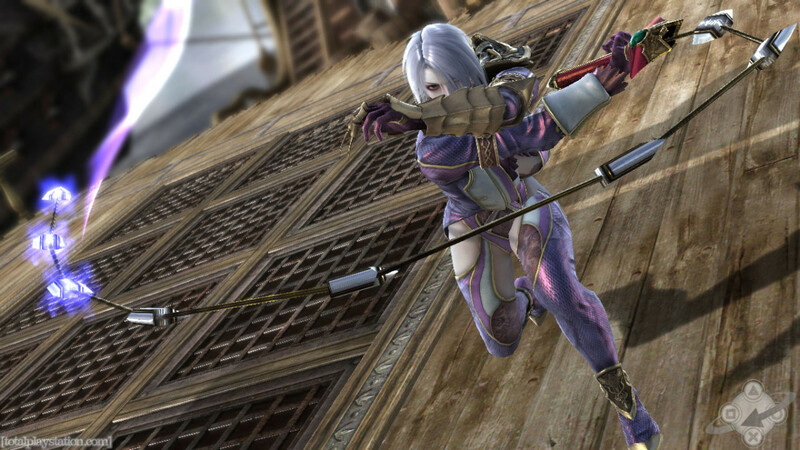 In Soul Calibur IV, the developers raised the penalty, enabling the player who depleted the turtle player's Soul Gauge to perform a Critical Finish, an amazing cutscene attack that ended the round with the more aggressive player's victory. Soul Calibur V dropped the penalty to a two-second open-window for the aggressor, sacrificing the hilarity from the original and the gravity of the fourth installment. The second and most irritating lost is the unlimited use of the Guard Impact. Not as arbitrary as the Counters in Dead or Alive or in the Mortal Kombat series, once a player performs a Guard Impact, the opposing player can respond with an Impact if the other player strikes back. The developers made the decision to regulate such a balanced and effective gameplay mechanic which effectively separated the dedicated players from the casual, the use of the Impact now controlled by a meter. Finally, the lacking of destructible environments raises the last concern. 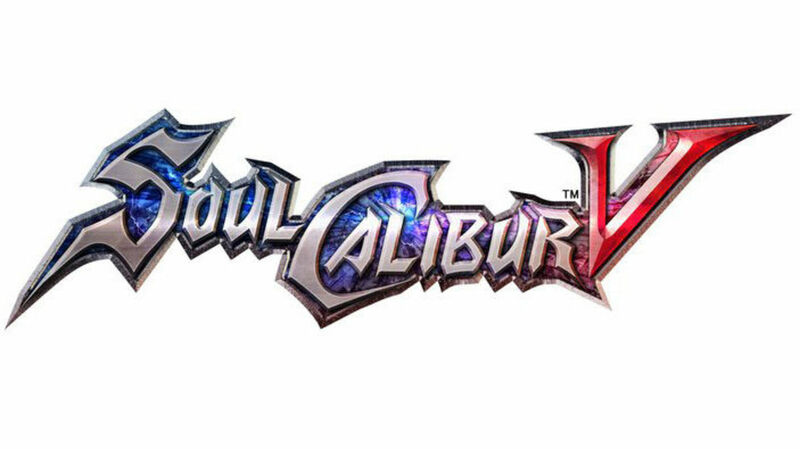 Compared to Dead or Alive, Mortal Kombat, and Tekken, Soul Calibur V drags behind when it comes to level interactivity. Only three levels shift to another area as the player fights through them, and some stages are only slightly redesigned versions of others. Despite all the superhuman characters diminishing the value of the game, a player won't jump in awe as they knock their opponent through the floor or wall, a powerful effect other games in this genre abundantly use. Swing that thing at me one more time and I'll... Oh! Wait, my meter's not filled up yet. In conclusion, Soul Calibur V sacrificed most of its style, but failed to gain much substance as a result. This "reinvention" of the series loses the spirit of the first four titles: people representing different cultures across the world wanting this evil sword for different reasons. The opening does not serve to merge the player into "A Tale of Souls and Swords," but acts as a time filler until the player presses start, the diversity of characters which defined the game was savagely cut, and the minimized consequence for turtle players, the limiting of Guard Impact use, and the lack of level interactivity compared to other fighters made the gameplay weak compared to its competitors. Do not misunderstand: there are positives to this game. 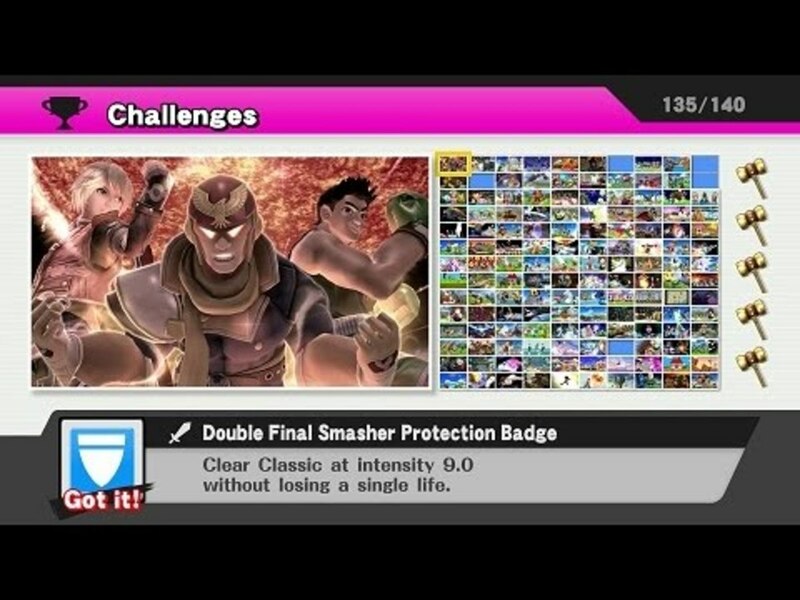 The levels are more beautiful than any of its previous entries. The online mode, when compared to DOA, SCIV, and Mortal Kombat, almost has no lag, smooth matchmaking and commenting while watching matches makes it an enjoyable experience. The gameplay speed is greater than SCIV's. However, something beautiful remains hollow without its soul. Over time, from a fellow fan of Soul Calibur, the developer and producer created the biggest sin by shifting the focus of this classic. They moved the game's epicenter from the effect the hunt for Soul Edge has on every adventurer's heart, to specific people impacted by the sword, with shallow side characters surrounding them. Perhaps if the creators of the greatest weapons fighter realize what made the game blossom in its roots, maintain what's fun in the gameplay while making it more competitive, the Soul Calibur series can be saved from the forgotten pages of history. Man, I had no idea you loved KOF so much. I've never even played the game. From my research though, Terry Bogard looks a lot like Ken, and there's another guy who wears a red combat outfit with blonde hair (can't find his name) that looks EXACTLY like Ken. And the guy you named, Robert Garcia, is also in KOF, and KOF and the Art of Fighting were both made by SNK. Despite that... I don't know how the move sets compare, because again I've never played KOF, only Street Fighter. Maybe the similarities end there? I'm not dogging on KOF, it was only a joke comparing Dan to Patroklos. Just because Dan is supposed to represent characters from certain games doesn't make those games bad, just means Capcom doesn't like those characters... because they're competition. Name one King of Fighters character that even shares a resemblance to a Street Fighter character other than the obvious Dan example. Well... I don't know where the inspiration for Dan originated, I'll admit that, but I'm pretty sure the satire his character embodies comes from all fighting game characters copied from Street Fighter's cast. And King of Fighters... has such characters. KOF 12 must have been real bad though. Compared to where SC has come from over the years... I do feel similar anger for SCV. Only SC game I didn't find hard to put down. Edit CommentWell... I don't know where the inspiration for Dan originated, I'll admit that, but I'm pretty sure the satire his character embodies comes from all fighting game characters copied from Street Fighter's cast. And King of Fighters... has such characters. KOF 12 must have been real bad though. Compared to where SC has come from over the years... I do feel similar anger for SCV. Only SC game I didn't find hard to put down. Dan was based on Robert Garcia of The Art of Fighting. Not necessarily of characters from The King of Fighters. And the characters have nothing to do with what makes King of Fighters 12 such an insulting game. 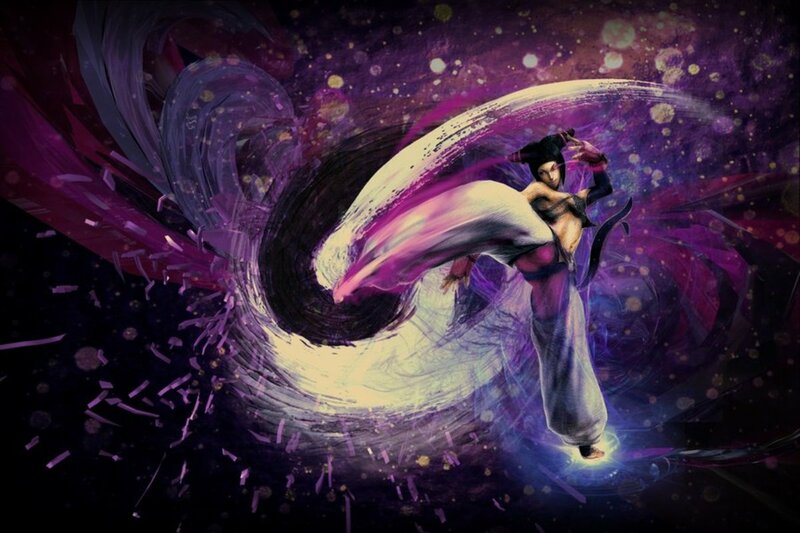 Unfortunately, I've never played King of Fighters 12, but I've heard that a certain pink-wearing martial artist from Street Fighter (Dan) was dedicated to games such as that. And since, IMO, Dan = Patrokolos in SC, only Patrokolos tries to be cool, almost does it, and doesn't wear pink, I'd say Soul Calibur 5 isn't as bad as King of Fighters. 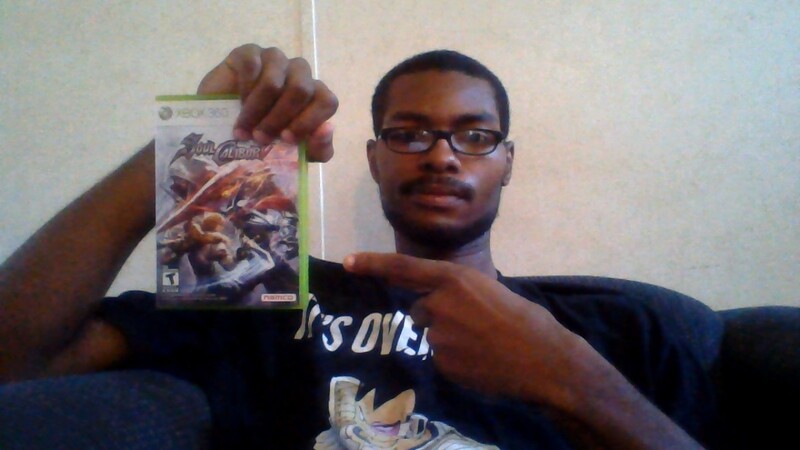 But it's not as bad as King of Fighters 12, right?